Don Pepin Cigars, turned My Father Cigars, is a family business that extends beyond blood relatives to include a group of unique boutique cigar owners that are centered on Don Pepin’s extensive cigar knowledge. José Pepin Garcia, known as “Don Pepin”, was born in Cuba. His introduction into the cigar world happened early, at age 11, when he sat down at his first rolling table in Baez. He quickly rose to prominence and established himself as a talented cigar maker. Although pleased with his accomplishments, Don Pepin and his family wanted more, leaving one-by-one for Miami. After coming to the States, Don Pepin used his extensive knowledge gained from years in the Cuban cigar industry along with the support and help from his son, Jaime, and daughter, Janny, and the help of Eduardo Fernandez to open a factory in Miami—El Rey do los Habanos. This was not the start of My Father Cigars, instead the Garcia’s worked under contract to create cigars for third-party boutique cigars, including Pete Johnson’s Tatuaje Cigars. When the Garcia’s weren’t working under contract, they focused on their own Don Pepin Garcia brand of cigars. Jaime Garcia, with his hardworking nature and cigar knowledge passed down from his father, began experimenting with tobacco and flavors to create his own cigars—all without his father knowing. However, the secret didn’t last long. Don Pepin found out, asked to try a few sticks and enjoyed them. Jaime revealed the name: My Father Cigars. After the success of Tatuaje Cigars, the Garcia family began looking for a place to expand, not only for their clients, but for themselves as well. They found their new home in Esteli, Nicaragua in a 7-acre farm and factory. In addition to providing a higher production rate, the new facility gave the Garcia family complete control. From harvesting to packaging and shipping—they could control the quality from the start when the seeds are planted to when the finished products were loaded on trucks for shipping. This control has paid off—with My Father Cigars as well as client cigars being repeatedly recognized as some of the best in the industry. Following the success of Tatuje Cigars and their move to Nicaragua, My Father Cigars continues to put their expertise to use producing cigars under contract for clients. They put the same amount of knowledge, time and hard work into these cigars as they do their own, producing cigars that continually grace Cigar Aficionado’s Top 25, including 2012’s top cigar: Flor de Las Antillas Toro. An annual list, Cigar Aficionado Top 25 List reads as a who’s who of the cigar industry. Featuring only the best in industry, making the list isn’t only an honor, but a symbol you have made it. My Father Cigars have graced the Top 25 list numerous times, sometimes in the same year, not only under their name, but also as the manufacturers of client cigars. Tatuaje and L’Atelier are the combination of Don Pepin’s extensive cigar knowledge and the prowess of Pete Johnson. The name itself is a nod to its owner, Pete Johnson—more specifically his tattoos. Tatuaje was the first success story for Johnson as well as the first cigar brand Don Pepin manufactured on his own. Tatuaje was first made in 2003 at Don Pepin’s El Rey de los Habanos factory in Miami under the watchful eye of the Garcia family. The cigar brand was made with a full-bodied flavor and a range of strength that quickly became a success, securing a score of 90 from Cigar Aficionado. Tatuaje continues to be a success as it is a common fixture on Cigar Aficionado’s Top 25 lists. Another product of the Johnson and Garcia partnership, the L’Atelier brand is a relative newcomer in the cigar world. 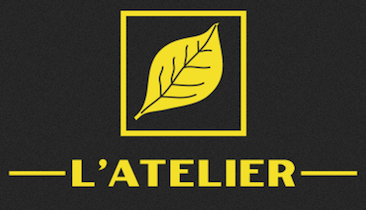 First manufactured in 2012 at My Father Cigar’s Factory in Esteli, Nicaragua, L’Atelier has an all-Nicaraguan Filler with an Ecuadorean Leaf, boasting a complex flavor. Although only 3 years old, L’Atelier already has a Top 25 listing under its belt.